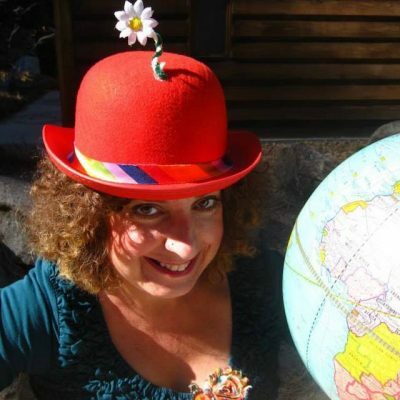 A seasoned improvisational theater performer of 15 years, Amy Angelilli also teaches classes for the stage and facilitates workshops for real world personal and professional application. She is a graduate of Philadelphia’s ComedySportz School of Improvisation and Denver’s Bovine Metropolis Theater School of Improvisation. She has performed in the 2017 Omaha Improv Festival, the 2017 Miami Improv Festival, the 2016 Palm Beach Improv Festival, the 2016 Tampa Bay Improv Festival, the 2015 Tampa Improv Festival, the 2015 Boulder International Fringe Festival, the 2015 and 2014 Colorado Improv Festival, Duofest 2015 and the 2014 Denver Improv Festival. She currently plays in “It’s All About Amy” – the unscripted story of her life and“3 Blind Dates” – an unscripted romantic comedy. Both theater experiences she created and produced. As Chief Adventure Officer of The Adventure Project, she has facilitated “playshops” for adult summer camps, spiritual centers, yoga communities, retreats and businesses. She is a member of the Applied Improvisation Network and has presented at the 2015 and 2014 Applied Improvisation Network World Conference. She has lead improvisation experiences for elementary school children, senior citizens and everyone in between – at home and abroad. She believes anyone can benefit from an improv mindset. Katherine Archer Katherine’s goal is to write songs that matter; songs that move people to take stock, reflect and make positive changes. 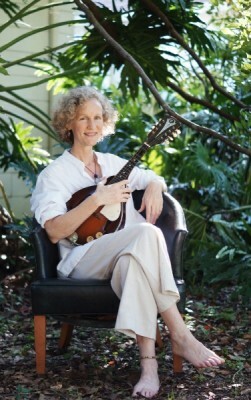 The consummate musician-songwriter, singing and playing guitar, mandolin and ukulele, she combines the refinement of a music conservatory background with her down to earth Virginia roots, gliding her audience through a heartfelt landscape of toe-tapping tunes aimed at honoring our connection with each other and our precious natural environment. Katherine writes music for film and video and leads songwriting workshops in schools and summer camps with kids of all ages as well as special needs children. In November of 2015 Katherine was honered to win Best Songwriter in St. Augustine and followed up with an Australian tour in Janurary of 2016. Local gigs listed on calendar page of website. Stop in and say hello! 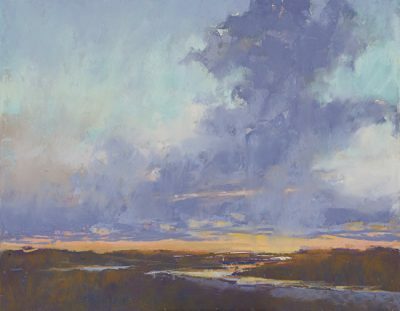 Lyn Asselta’s award-winning pastel landscape paintings have earned her Signature Status in the Pastel Society of America and Master’s Circle Status with the International Association of Pastel Societies. She is an elected member of the American Artists Professional League and has been an Artist in Residence for the National Parks Service at Acadia National Park. Lyn founded and is co-president of the First Coast Pastel Society, which serves pastel artists in the northeast Florida/south Georgia area. Her work has been exhibited throughout the USA and in France. When not working in the studio, Lyn participates in plein air events and teaches pastel workshops both nationally and internationally. PHYLLIS BACHAND Biography Phyllis Bachand was born in Georgia and grew up in Florida. After graduating from Florida Southern College she moved to New York City where she worked in marketing research eventually owning her own business in Washington, DC. In 1989 she left the business world and attended the Corcoran School of Art where she studied sculpture and painting. In 1991 she received her Masters of Fine Art from the Maryland Institute College of Art. In 1993 she moved to Toronto, ON where she worked as an artist primarily in mixed media sculpture. In 2001 she and her husband returned to the states and settled in Ponte Vedra and she began painting. Phyllis’ work has been exhibited in galleries in New York, Chicago, Washington DC and Toronto. Her work has always been drawn from nature. 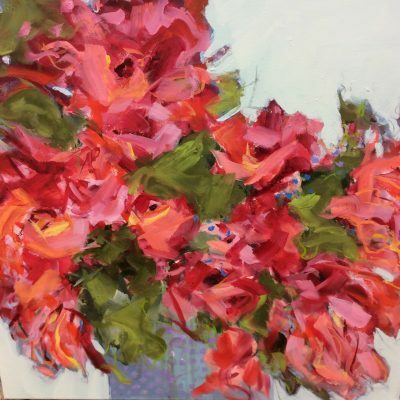 Her current work is a series of contemporary flower paintings in oil and mixed media. The paintings are richly layered and show the history of the painting, often exposing traces of preliminary drawings. “In my painting I try to project a sense of beauty but with a force of energy and vitality. I like to expose the physical nature of the paint and it’s application. I want to give the viewer a reason to pause for reflection and time to study the work.” Phyllis currently divides her time between Ponte Vedra and Maine, where she spends the summers. Daniel Bagan is a self-taught studio portrait photographer, based in St. Augustine, Florida, with a passion for capturing organic, compelling photos of unconventional subjects. Daniel began his career with film and a deep love of black and white portraits. As technology evolved, so did his approach to photography and he quickly realized his love for saturated colors and the pop-art style of the Digital Age. Daniel is the co-creator of We Are Straight Allies, a visual campaign designed to bring attention to lingering civil rights issues in the state of Florida. He created the Age of Beauty Project, showcasing natural, beautiful portraits of women aged 50 – 100, creating portraits of women between the ages of 50-100. The project is a social commentary on Beauty and Age and will produce a book and exhibition. “There is no Age of Beauty. I speak with women over fifty almost every day and many say the feel invisible, that they no long see themselves as beautiful. Real beauty transcends Madison Avenue’s definition of thin, smooth and young.” Daniel’s most famous work is his re-enactment of Dan Wynn’s iconic 1971 photograph published in Esquire Magazine of Gloria Steinem and Dorothy Pitman Hughes. The photograph is in the Smithsonian National Portrait Gallery, the Museum of the City of New York’s exhibition Beyond Suffrage: A Century of New York Women in Politics and the Thomas G. Carpenter Library at the University of North Florida in Jacksonville, Florida. I am a woman who loves her ancestry, spirituality, womanhood, culture, community, and heritage. My poetry and stories reflect my life and the lives of those I love. I am a community educator and activist, as well as an advocate for women’s self-care. I am the founder of the Bailey Learning and Arts Collective, Inc and the newly formed Queens Room – a virtual she shed promoting self-care, self-love, and empowerment for women through self-care plan creation, Writing to Heal workshops, Wellness Workshops and articles and resources that promote self-care. Full time painter, oils and acrylic, and along with my wife Sarah, we produce a PBS television series titled Painting and Travel with Roger and Sarah Bansemer seen on 175 stations nationwide. We are in our 8th season of shows. Hope Barton – Artist’s Statement For 25 years, I worked as a printmaker creating multiple-plate and hand-colored etchings. I showed in juried sidewalk art festivals. From 1997 through 2001, I owned a gallery in downtown Clermont, FL. During that time, along with teaching and demonstrating, I started doing a lot of acrylic painting. Since moving to St. Augustine in 2005, I discontinued the etchings, did some plein air painting and started creating larger studio paintings. During my walks with my dogs, I have found wonderful scenes at our beaches and in our parks. Painting the ocean and sea oats are a new challenge. My husband and I are traveling from the East Coast to the West coast of Florida on a regular basis and it has greatly influenced my work. My current work is about secret, sometimes small places that I have found by the side of the road, in state parks and boating through the creeks of Florida. What I want to say about Florida is not about what you see from a turnpike or major roadway. The real Florida lies in remote areas. You have to be aware of your environment and pay attention to what is happening. I love the road through the marsh in Dixie County. It is greatly affected by sunlight, tides and seasons. Sometimes the shots I get are in the middle of the day. The tides are high (or low) and the palms and palmettos are in various stages of growth in shades of orange, yellow, greens and browns. The creek bottoms can be muddy and dark but also at times clear with an orange creek bottom that is quite unique. The grasses go and come in stages of yellow, pink, maroon and lime green. Trees die, new growths crop up and the seasons change ever so slightly. It is my goal to bring this excitement of the “find”, the new colors on the horizon and moments of light to my viewer. My challenge and goal is to let you in on my secret places and hope you will retreat into my paintings and find a peace of mind. Currently, I am showing at Aviles Gallery in St. Augustine. To see more, go to: hopebartonfinearts.com. Bruce Kevin Bates grew up in West Palm Beach, Florida, and currently resides in St. Augustine, Florida. Since early childhood Bruce has had a passion for drawing and painting, and has always enjoyed sketching and painting the people and places around him. 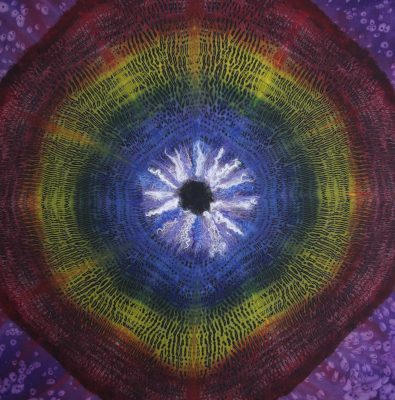 While his artwork usually depicts realistic images, he often uses heightened colors, textures, and swirling brush strokes in his works to communicate his thoughts and feelings about the universal energy he feels surrounds us, and connects us all together. His favorite medium is oil, but he continues to experiment with new materials and techniques. He often employs “Old Master” techniques in his works, combined with new methods that he has developed over the years through experimentation. 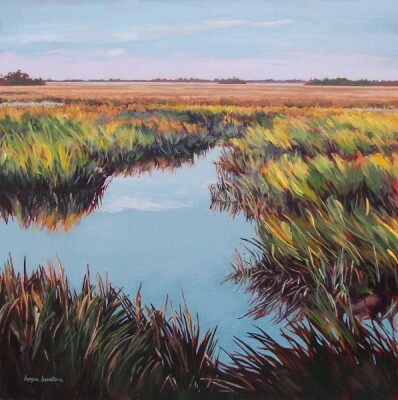 Bruce holds a Bachelor of Fine Arts degree with Honors from Pratt Institute in New York, and has exhibited his work throughout the state of Florida. 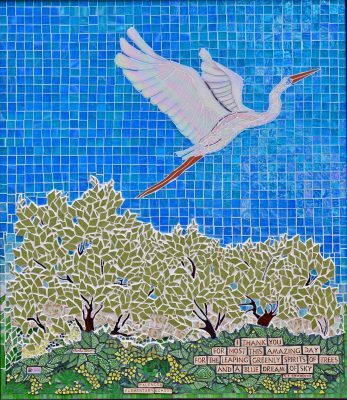 Gail Beveridge Biography After many years as a commercial interior designer, Gail Beveridge made the transition to that of a professional artist. As an award winning sculptor, she exhibited in many juried and invitational shows and exhibitions throughout the U.S., was awarded an Art Ventures grant through the Community Foundation for Northeast Florida and was represented by galleries in Jacksonville and New Smyrna Beach. 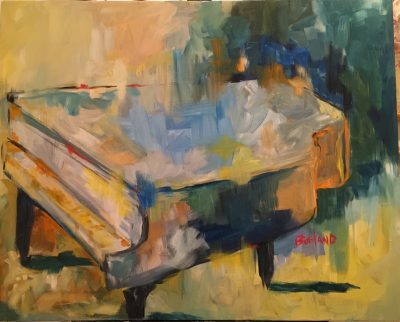 More recently, Beveridge has pursued her long-time interest in painting and has participated in several plein air painting events and juried exhibitions. 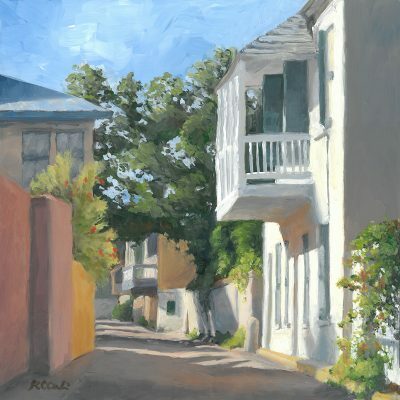 In 2016, she was awarded Best of Media – Painting in the Find Your Park Plein Air Exhibition in conjunction with the National Parks 100 Centennial Celebration at the Lightner Museum in St. Augustine, Florida. 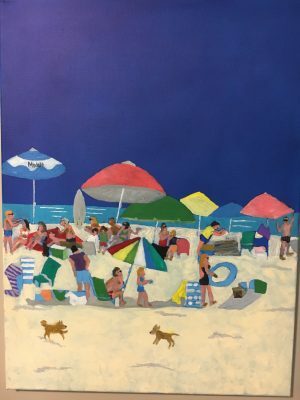 She was selected to exhibit her artwork at the Jacksonville International Airport and eight of her landscape paintings were on display in Concourse C from April 1 through June 30, 2018. Beveridge also won Honorable Mention in St. Augustine Art Association’s Where Art Meets History exhibit in May 2018. She lives in St. Augustine and is represented by Aviles Street Gallery there. Beveridge earned a Bachelor of Design Degree with Honors from the University of Florida. She is an associate member of Oil Painters of America, a member of First Coast Plein Air Painters and the St. Augustine Art Association. The E.T. 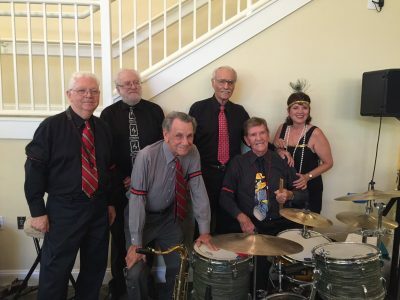 Swing Band is a local ensemble based out of St. Augustine that often plays at the St. Augustine Jazz Society’s monthly jams. 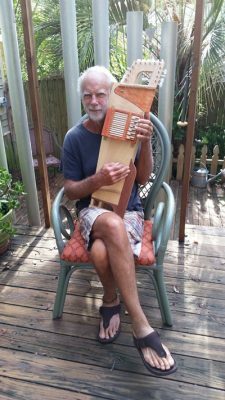 The leader, Eddie Trester, was one of the founders of the Jazz Society and is actively involved with keeping Jazz alive on Florida’s First Coast and encouraging young musicians to pursue their passion for music. 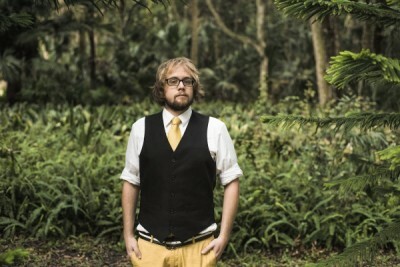 Shea Birney is a 26 year old Florida native who has been playing and crafting songs for over a decade. Shea’s true style lies in the passion put into the songs and performances. From intimate serenades of love or longing, to raucous ballads of existential crises or resolution, the songs always have a sense of having some idea or emotion he sincerely wants to convey. With a human quality that cannot be ignored, the songs stand on their own merit; and could seem to come from any mouth any where, during their most trying or serene moments in life. Chris Bodor left his New York City job of ten years and moved to Saint Augustine, Florida in the summer of 2003. In New York he was known as the “Train of Thought Commuter”, because of the volumes of poetry that he composed in hand written notebooks while traveling to and from work. With a commute shortened from three hours to three minutes in Florida, Bodor began the arduous task of reinventing himself. 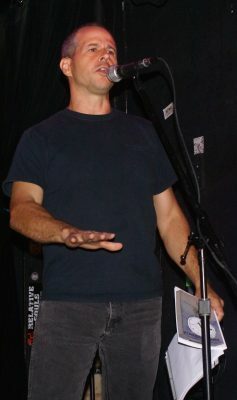 In August of 2009 he started up the Ancient City Poets and launched a once a month poetry reading series that still gathers to this day. 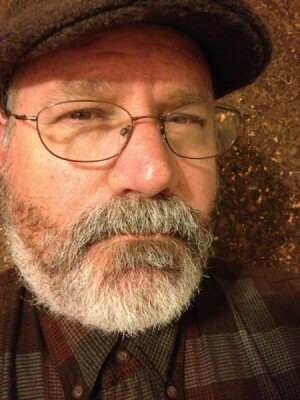 Since 1995 he has maintained his own publishing imprint, Poet Plant Press, with his wife, Mary Beth. Chris is the Editor-In-Chief of the international literary journal, AC PAPA, which stands for Ancient City Poets, Authors, Photographers and Artists. Music Simplified for Everyone – small group music classes focusing on a totally new approach of introducing all ages to the beauty and simplicity of creating your own music on a wide variety of instruments and understanding the basics of music theory through visual metaphor. Frog shown here holding one of his handmade musical instruments, the Nightingale. Billy Buchanan has called St. Augustine, FL home since 2007. Seemingly coming out of nowhere, Billy’s gritty soulful sound has been a welcomed alternative to an already thriving folk scene in the nation’s oldest city. Averaging five shows a week (250 dates a year! ), Billy has been nicknamed the “Hardest working musician in North Florida”. Not only is he a regular at local restaurants, hotels, country clubs, and concert venues, he’s headlined many of the main festivals, including One Spark, Music By The Sea, Rock The Decade Gala (Florida Theatre), Rhythm and Ribs, The Lincolnville Festival, Cathedral Festival, and The New Years Eve Beach Blast Off. But what many people don’t know, is that Billy has been on this musical adventure for quite a while. Billy Buchanan has had an illustrious twenty year career. As an award winning recording artist, he’s released five albums as a solo artist and two albums with his former band Fusebox (Elevate/EMI). He’s had three Top 20 songs on the CCM charts and has performed in all fifty states and in twenty six countries. 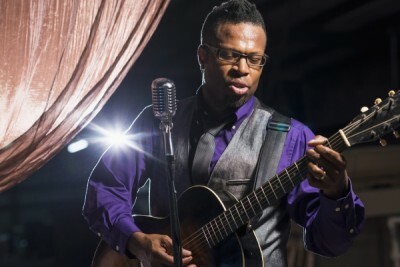 As a sideman, he’s played bass, guitar, or sang background vocals for many great artists, including Grammy winners Rebecca St. James, Michael Tait, and John Carter Cash. He has shared the stage with an amazingly diverse list of artists, including Joy Williams (from The Civil Wars), Shawn Mullins, Sixpence None The Richer, JohnnySwim, The New Orleans Suspects, David Ryan Harris, G Love and Special Sauce, Switchfoot, Funky Meters, P.O.D, The Four Tops, Alice In Chains, Martha Reeves & The Vandellas, and Jennifer Nettles (from Sugarland), to name a few. As a songwriter and producer, he’s worked with Busbee, Mike Hartnett, Marc Byrd, Brendan O’Brian, Dave Cobb and other established writers and producers. He produced all of his solo albums, numerous independent artist’s albums, and co-produced Fusebox’s “Once Again” album. As an actor, he was nominated for a Dove Award for his role in the touring production, Hero The Rock Opera. 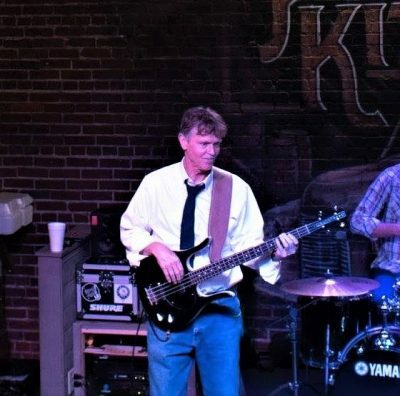 As an educator, Billy has taught hundreds of private students, overseen various camps, workshops, and seminars throughout the country, and is currently the Music Education Director at University Christian School in Jacksonville, FL. Billy has always had a knack for seeing more in people than they may see in themselves. Over the years, he’s had some exceptional musicians in his bands and sit under his tutelage. The list includes Adam Nitti (Kenny Loggins, Steven Curtis Chapman), Tom Knight (TLC, Emmy Award Winner), Mike Hartnett (Fergie), Chris Smith (Kriss Kross), Nico Constantine (Lady Gaga), Nash Overstreet (Hot Chelle Rae), Casey Pollock (Sara Evans), Ben McLeod (All Them Witches), and Tim Braisted (Brit Nicole). He also has his own radio show, The Soul of Jazz, that airs on Flagler College Radio and iHeart Radio. Billy attended Cleveland State University and The Atlanta Institute of Music, and is currently pursuing double major degrees in Music Education and Communications through Louisiana Baptist University (online). Originally from Cleveland, OH, he has also lived in Atlanta, GA and Nashville, TN. His music is best described as “Jump jiving, rock and roll grooves meet juke joint, rhythm and blues”. Born and raised in Cleveland, OH, the city where DJ Alan Freed first coined the phrase “Rock and Roll”, Billy Buchanan has a deep musical heritage. Investing in his father’s LPs at a very young age, he became a disciple of blues, rock, soul, and country pioneers like Chuck Berry, Little Richard, Otis Redding, Sam Cooke, Ray Charles, Johnny Cash, and Buddy Holly. Billy proudly stands on the shoulders of, and pays homage to, those artists who paved the way for him. But what really sets him apart is his original music. He blends thought provoking, often inspiring lyrics, with vintage backbeat rhythms. His songs are a true celebration of life, bringing people of all ages, races, and backgrounds together. When rock and roll was still in its infancy, it was electrifying, unrestrained, and unapologetic. Whether live or recorded, His music encompasses the energy and rawness of those early days, while unquestionably breathing new life into St. Augustine’s music scene. Whether solo or with his band, Free Avenue, behind him, Billy Buchanan is a must see. 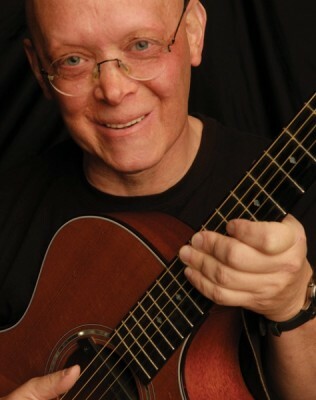 Tom has been playing music for 50 years including guitar, piano, vocals, banjo, dobro and violin. Some of his past bands include Nailhead, Vertigo, Decoy, Storm Warning, and Hurricane Surfers. Currently he plays the bass and sings backup vocals for the Grant Paxton Band, Innocent Bystanders, The Hombres, and The Mike Hart Band. 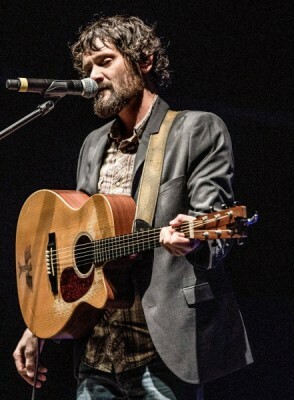 Brent has spent the last 4 years touring regionally and performing locally. He has had the pleasure of supporting many national acts along the way. 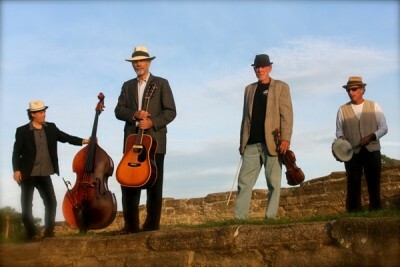 He also performs with Brent Byrd & The Suitcase Gypsies. 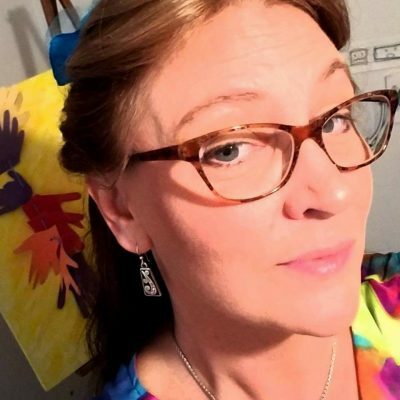 Sarah graduated from Eckerd College in 1984 with a Bachelors Degree in Art and studied marine mammalogy focusing on integrating cetacean life into her artwork. She tended intracoastal toll bridges for the Florida Department of Transportation in Saint Petersburg, Florida while studying in school. 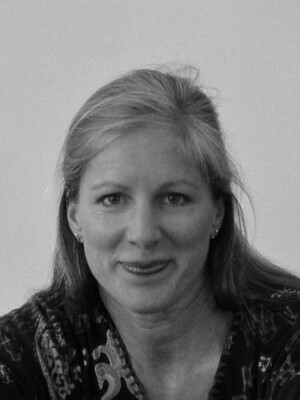 Following graduation from Eckerd College in 1984, Sarah worked in the neckwear industry in the MidAtlantic area and moved to Chicago after meeting her husband, John. While in Chicago, Sarah designed jewelry, worked as a millinery designer, and was employed as the Volunteer Coordinator at the Cradle, an adoption agency. In 2003, she began taking classes at the Rotblatt-Amrany Fine Art Studio. Soon thereafter, she assisted the owners, Omri and Julie, with large scale projects including a bronze sculpture of Magic Johnson for the LA Staples Center and Michigan State University. She assisted Julie with the George Halas Memorial for the Soldier Field in Chicago. Sarah was subcontracted by the studio for private commissions in bronze relief including Jim Cantalupo and Charlie Bell for Mc Donalds. 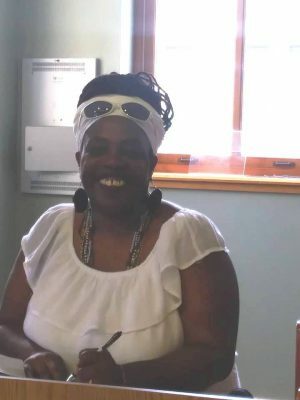 She was selected to create one of the steelworkers for Omri Amrany’s sculpture titled, the Fusion, for the city of Gary, Indiana. In 2004, Sarah was commissioned by Amy Parsky to design a bronze memorial for her late son, Matthew Parsky. It resides at the Community Center in Lake Forest, Illinois. In 2007, Sarah moved back to the Florida coast. She was sponsored by Arlington Toyota Dealership to paint a five foot loggerhead turtle sculpture named Terra, for the Child Guidance Center of Jacksonville. It was sold and is now in a private collection. One of her bronze whale sculptures, titled Aphrodite and Eros, was included in the beautification of the NOAA Southeast Regional Office in St. Petersburg in 2011.She is a member of the St Augustine Art Association. Sarah specializes in bronze relief portraits, memorials, and commissioned work. She is an avid golfer and nature enthusiast. She currently sculpts out of her home in St Augustine, Florida. (South African, Born 1967) Jay was born in the seaport city of Cape Town, South Africa. With its majestic mountains, coastline and vibrant colorful culture, these elements made a distinct impression during his childhood. Jay used his passion for art, capturing the sea and everyday city life, using oils as his medium of choice, he often captures this through an impressionist art style. Constantly drawing as a child, his earliest and fondest moments were sketches and drawings at school. Jay has commissioned works of art for those who enjoy tropical seascapes and people-watching. Without formal training, the French impressionists became his teachers. Monet in particular. Preferring full colors and bold painting strokes, Jay uses brilliant colors to capture his style of everyday life. Statement Overall, my work is a creative process, using loose brush strokes working with varied subjects to evoke either a mood or feeling. I take considerable time planning out my paintings before I start painting with a brush, working out compositions and the color combinations that will most effectively capture the drama of the painting. I work with a limited palette, which I mix into a wide variety of hues and values appropriate to the scene I am creating. I like painting things happening in everyday life, mostly common everyday objects, actions or forgotten items we see and observe during our daily hustle and bustle, In this chaos of what we call everyday life, we pass scenes we hardly think twice about. It’s ether the person in the car in front of you, the man walking his dog on the beach or people running errands or palm trees swaying with an oncoming storm. Sometimes these are the very things we need to appreciate. Lastly I am inspired by my beautiful wife, who brings energy into that why i do. I love working on Big Mosaics! But, I can also create smaller works: Backsplashes, Patio Installations, Fine Art Panels, Entry Installations. By commission, Sky’s the Limit! I’m a local musician, song writer and have been performing for over fifteen years in the north Florida area. I play the acoustic electric guitar and have my own pa gear. Most of my music consists of beach music. 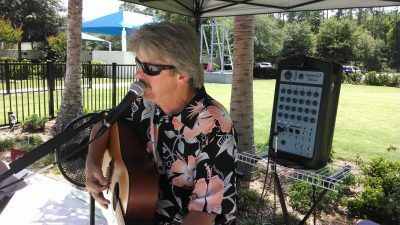 I sing Jimmy Buffet, Kenny Chesney, Eagles and others including a few of my own beach songs. If you visit my gigmasters web site you can see the wide variety of venues where I have performed as well as a few videos me singing. 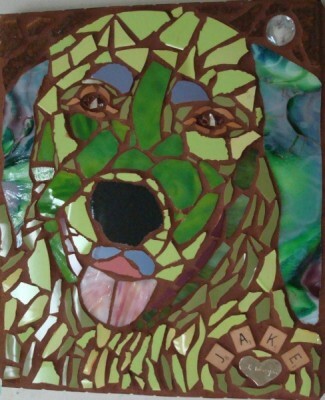 I am a local eclectic mosaic artist! I often use mixed media in my pieces but always include my love…stained glass. Much of my work also has Orsoni Smalti imported from Italy or Moroccan clay tiles imported from…you guessed it…Morocco! In additon to developing my art I am also a tour guide with Tour St. Augustine and have several pieces displayed in the lobby at 4 Granada St. Since photos never seem to do justice to the beauty of the glass …stop in and say hello! Originally from Baltimore, MD, I moved to St. Augustine in 2005. I quickly embraced the warm and supportive community that we have here, and have come to realize that this is home for me now. 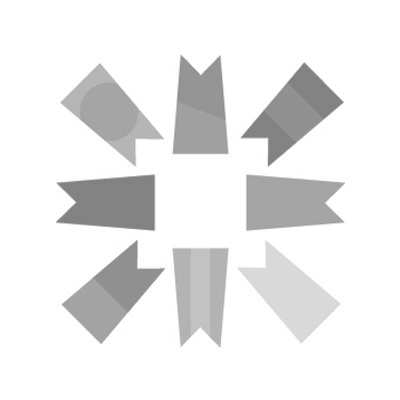 I am a professional graphic designer with over 25 years of experience and a variety of accounts ranging from corporations to nonprofits and festivals. My other passion is songwriting and perfoming live music, primarily on the guitar. I have released or been included on several CDs, and currently some of my recordings get airplay on the radio in far away places like New Zealand and Belgium, as well as right here on our local college station. I currently lead the band Collapsible B here in North Florida.